The words Microsoft graphics component made me think that this update might be causing the text look so blurry. So after uninstalling KB3029944 and rebooting the Server I got disappointed finding out the text still looked blurry in Notepad++. KB3029944 was not causing problems. validates data returned from user mode functions before being executed, handles TrueType Font error checking, and checks font widths prior to loading fonts into memory. The words TrueType Font error checking made me think this has to be the one causing all the troubles. 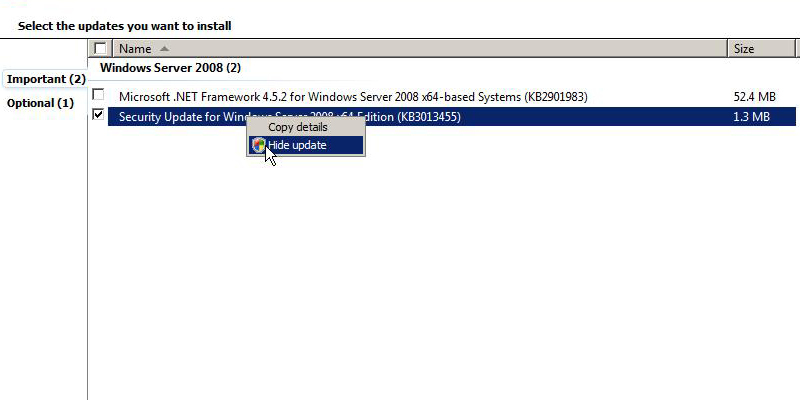 So again I went to Control Panel – Windows Update – View update history and selected Installed Updates to remove an update. Now in order to prevent the font corruption to appear again I had to hide update KB3013455. So I went back to Control Panel – Windows Update and pressed Check for Updates. After this I pointed my mouse to KB3013455 and hit the right mouse button in order to select Hide update. 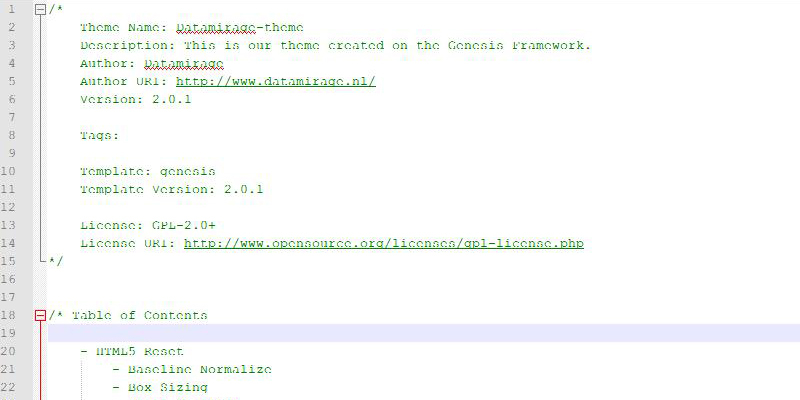 Note that this is only a temporary solution to fix the blurry text font corruption issue in Notepad++. 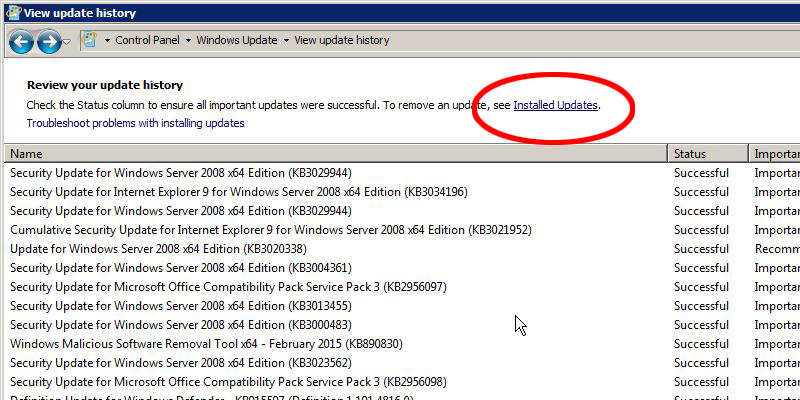 KB3013455 is an important security update and needs to be installed on your system in order to prevent security issue’s. I will monitor this issue and wait till next security patch day and see if MS releases a new update. If you also experience problems after update KB3013455 please share your story. Are you know other way to remove it? have you waited till all update’s are loaded in the list? On top of the collumn you can sort by date. It should be listed there otherwise it isn’t installed. Thanks for this blog! 🙂 I had the same issue, which I first noticed in Firefox, on Google search result pages. And indeed in Notepad++. But with your instruction, the problem is solved. I could have waited for a patch patch by MS, but seemingly that is not so easy to make. The problem-causing patch is a week old already. 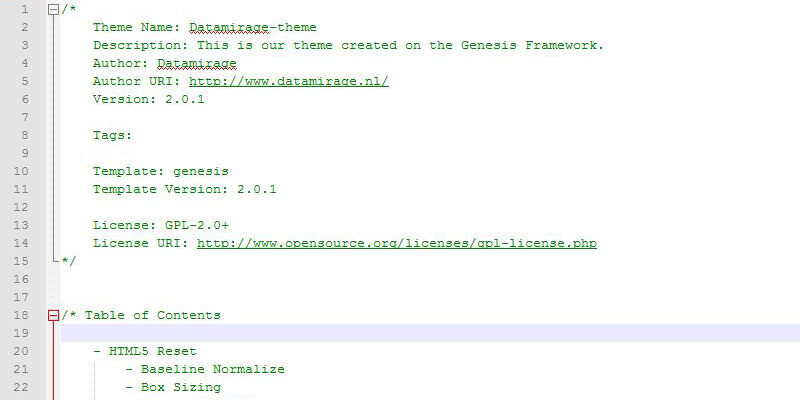 I’ll keep track of this blog for further developments. Thanks again. Thanks Mate, this saved me so much time. Customers everywhere complaining of blurry text. Maybe Microsoft needs to do more testing before release updates? For me the same problem in Firefox! I noticed that Explorer doesn’t have this problem! What to do about this? It’s an important security update! @Marcel: do you have any idea of what the actual risks are of not re-installing the update in question? I’m asking because MS would have an argument to not create/release a patch patch — the font corruption problem does not occur in IE (see Melle’s post). Personally I’m not worried at all at this moment, but that may not always stay that way. Not applying the update means your computer may be at risk. Guess we have to wait till MS releases a new update or other vendors like Notepad++ or Firefox release a fix. I had this same problem on my 64-bit Vista system. Microsoft knows about it and has issued a fix. This fixed the problem on my system. Thanks a lot. That solved my problem on windows vista too. Hadn’t been able to resolve this at all and it was soooo annoying especially as I needed to do lots of coding! Have uninstalled update and just waiting for it to come up in check for updates so I can hide it. I’ve got the same problems, but not with Notepad++, but with IE and FF on a Windows Server 2003. Deinstalling the patch and rebooting the server fixes this for me at the moment. Had the same problem on PC and laptop – both solved after uninstalling patch – thanks! I had same problem, uninstalled update fixed it, but worried about security issues this may cause. Thanks for showing how to stop it re-installing itself. Thanks for this! We had the same issue and deleting the update solved this problem.